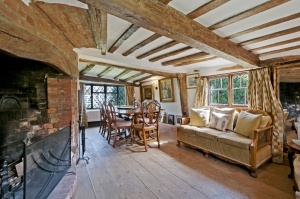 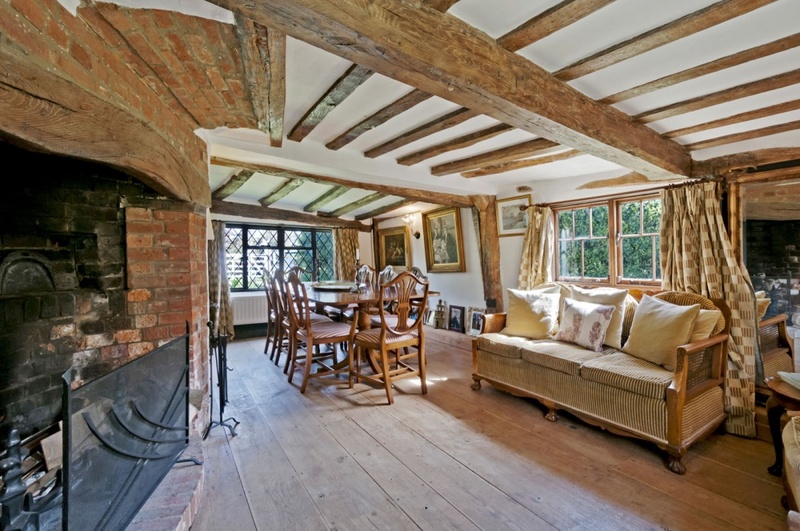 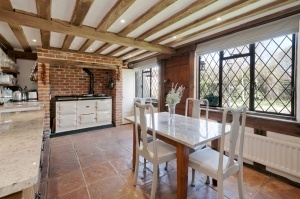 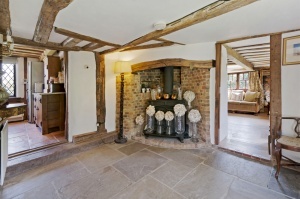 Beautiful and immaculate detached three bedroom period cottage, dating from the 16th century and full of character features. 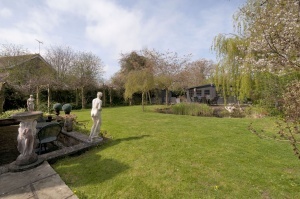 The pretty cottage gardens surround the property with a large gravel driveway providing parking for 6-8 cars. 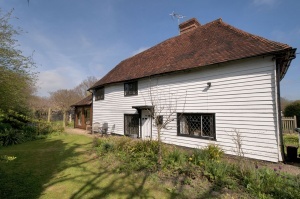 Just a short walk from Smarden village 0.4 miles. 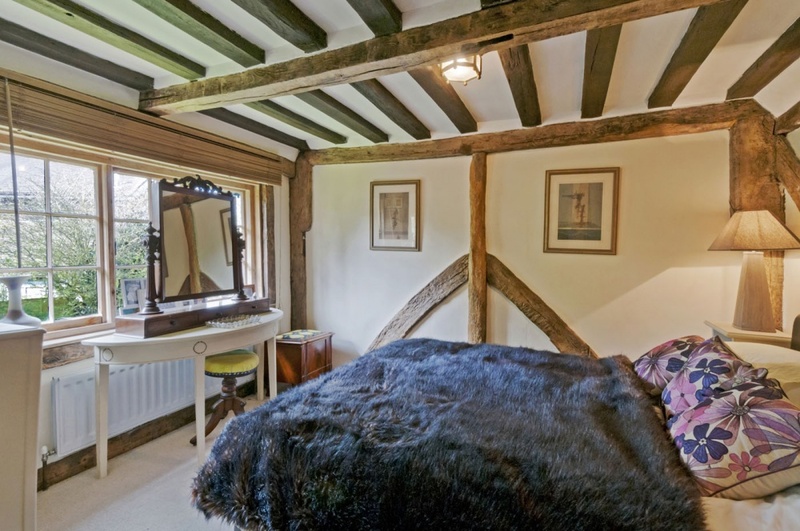 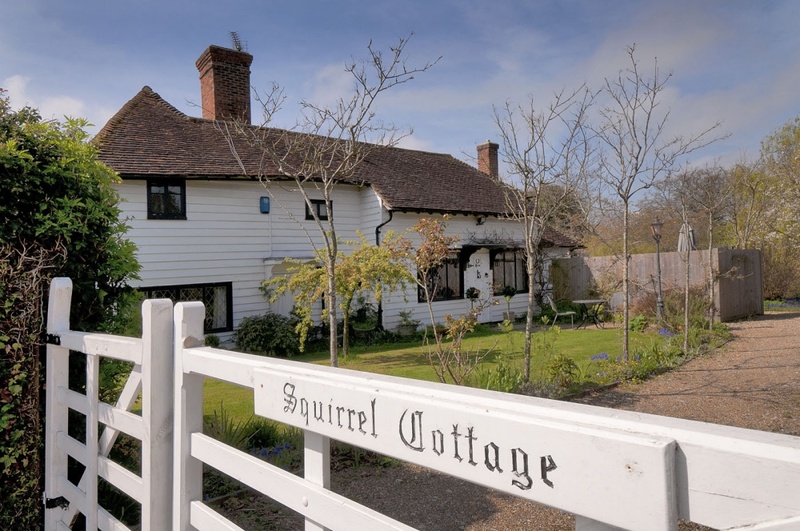 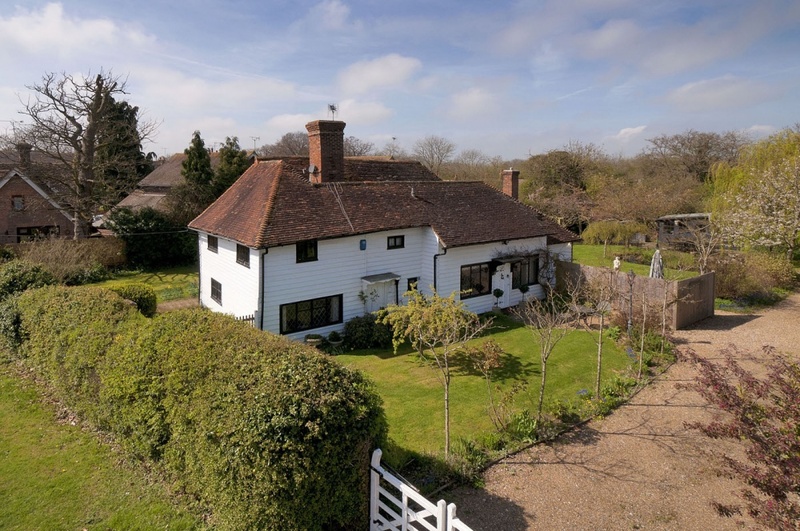 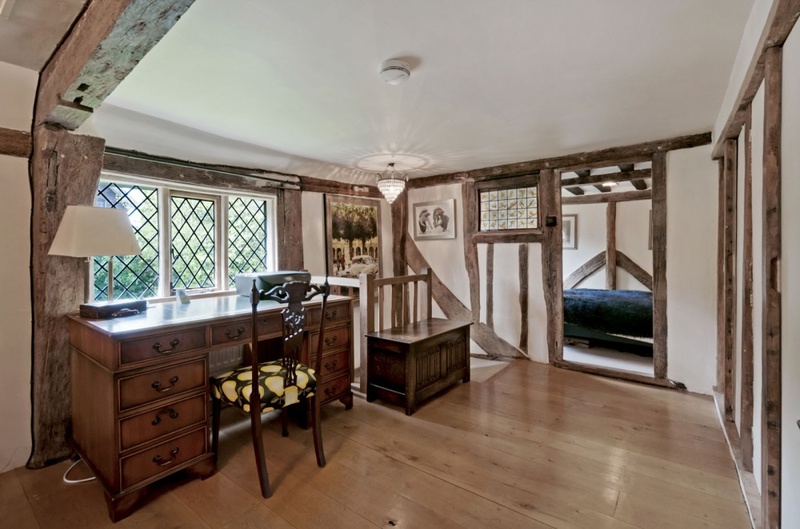 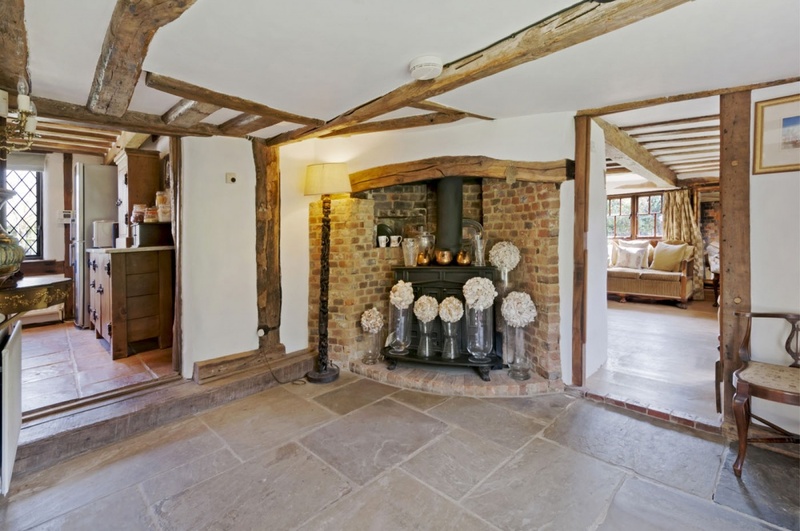 This very pretty grade II listed cottage has been well maintained and enhanced by the current owners and in previous years has been sympathetically extended to provide a timber framed vaulted sitting room with bi fold doors than open into the garden. There is a country style kitchen with bespoke cupboards, a four oven Aga, granite work surfaces and terracotta floor tiles. 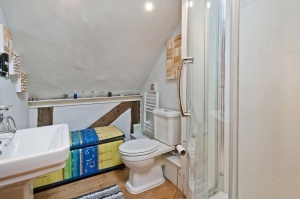 A door from the kitchen also provides access to the utility room and WC. 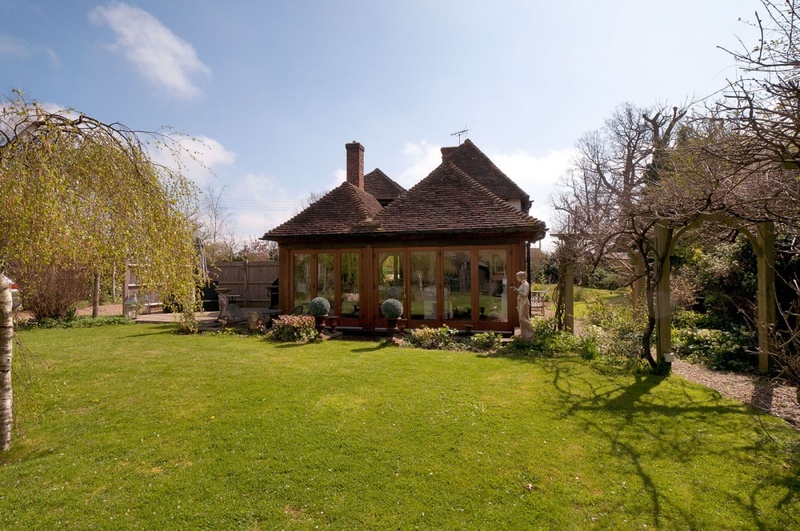 The attractive reception rooms provide flexibility for differing uses, with a large dining room which could also be used as a further sitting room as it has an open fire, central hall with open fire, library study area and sitting room. On the first floor there is a generous landing with storage cupboards and period timber doors which lead to three generous bedrooms. 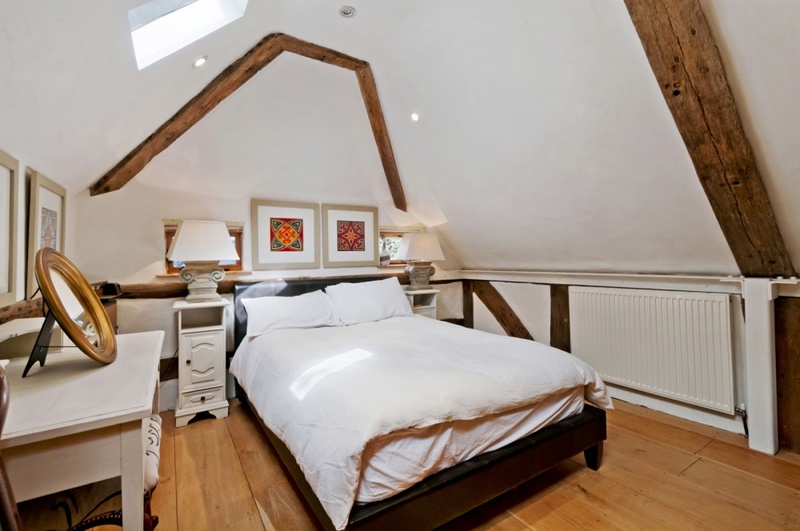 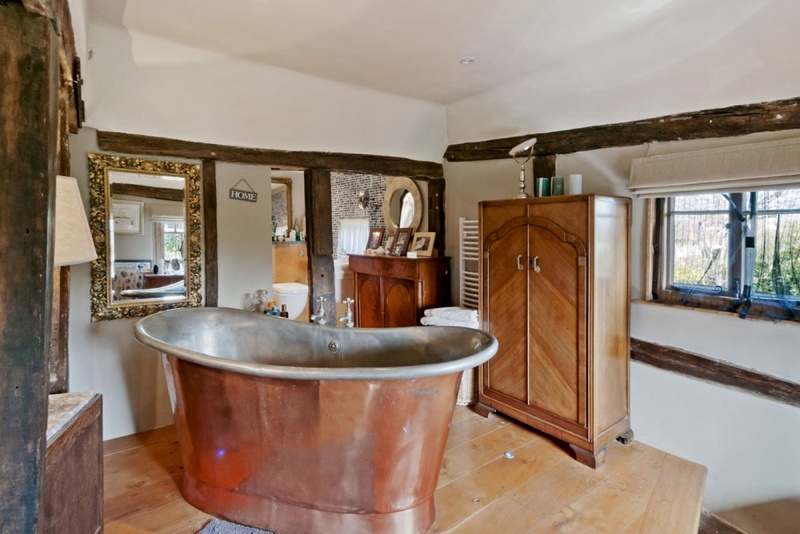 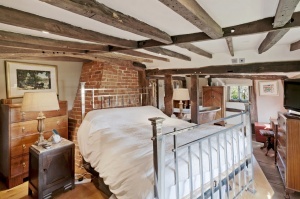 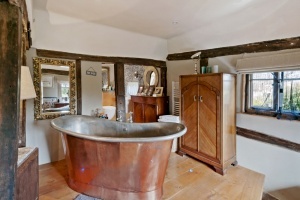 The impressive master bedroom has a copper 'Bateau' bath as well as access to an en-suite shower room. 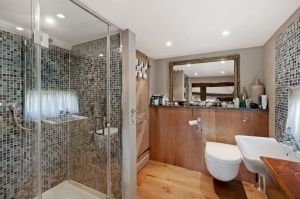 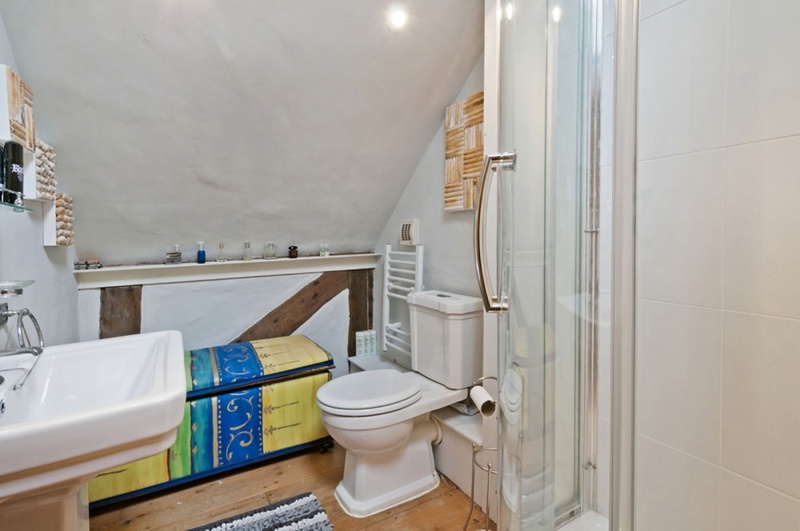 The two further bedrooms share use of a separate shower room. Accessed from the road through an electronic five bar gate, the cottage has a gravel driveway with ample parking for 6-8 cars. The cottage sits almost centrally within the plot and therefore is surrounded by its abundant borders and lawn on all sides. 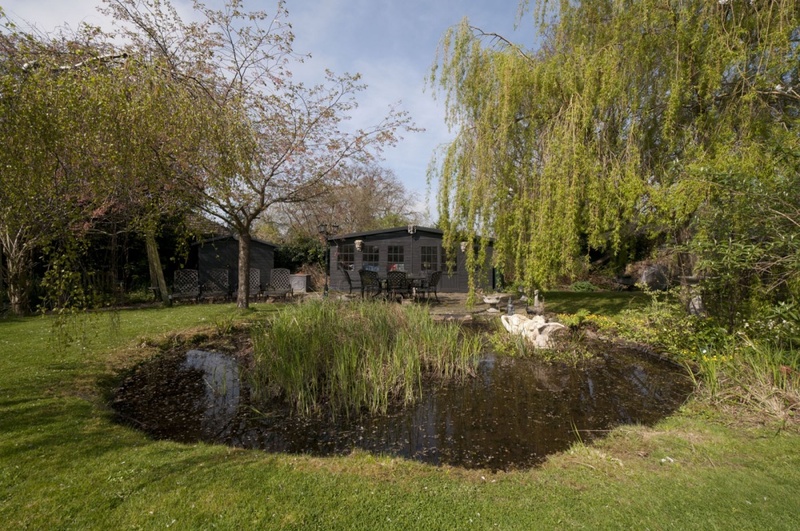 A sheltered private paved seating area adjoins the sitting room from which to enjoy the view over the ornamental pond and garden. 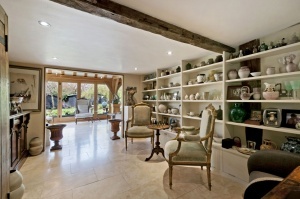 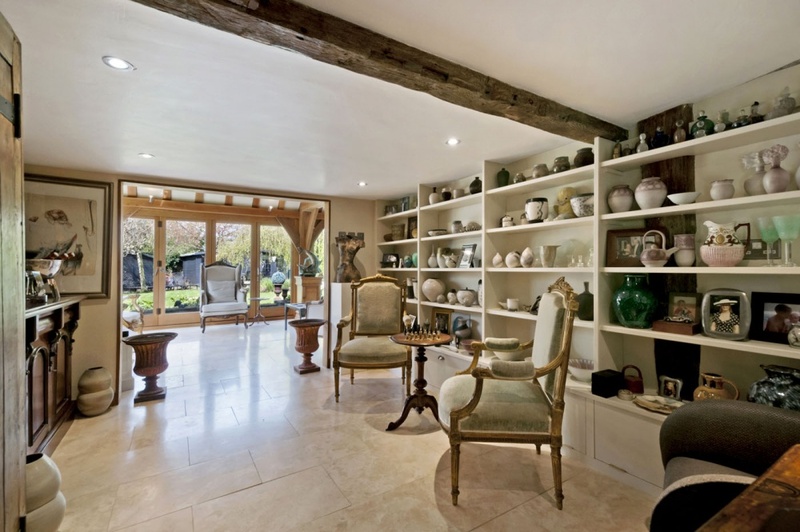 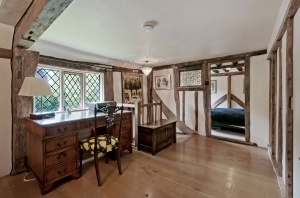 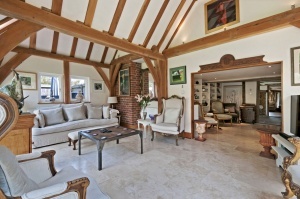 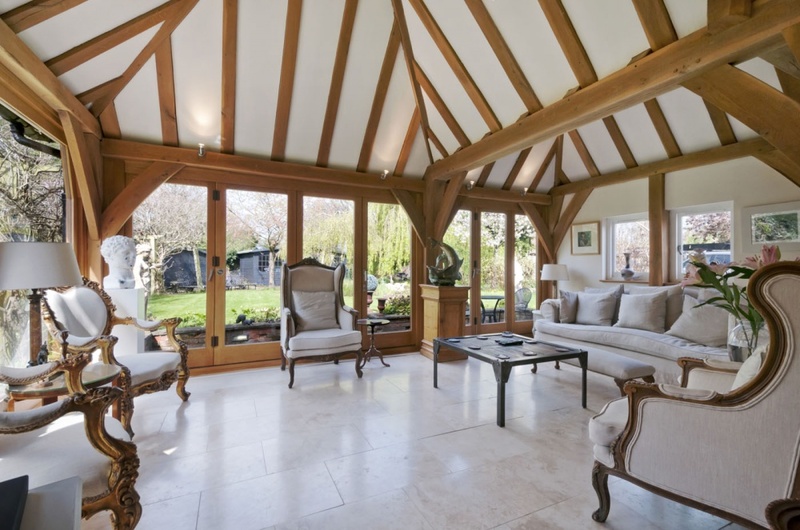 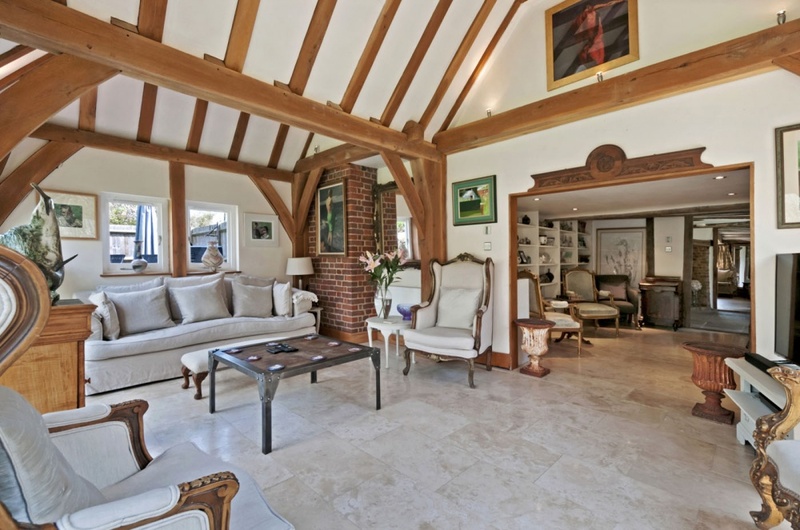 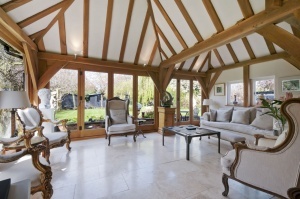 A large timber garden room is located at the end of the garden providing useful storage.